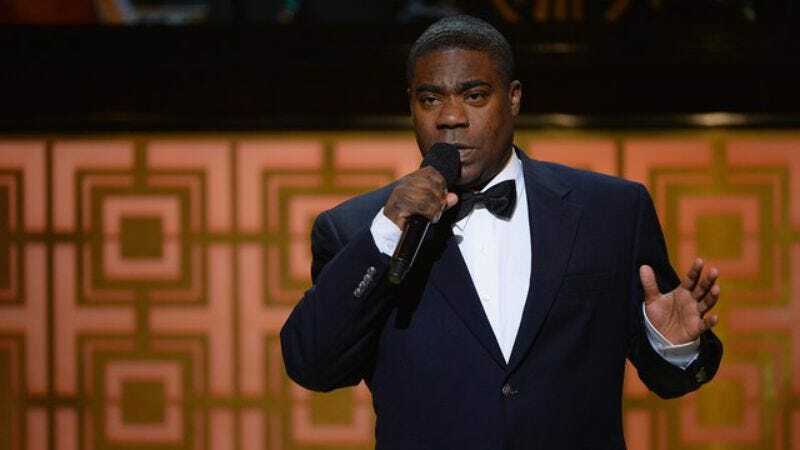 After surviving a near-fatal accident more than a year ago, Tracy Morgan will make his triumphant return to comedy as the host of Saturday Night Live this October. Variety reports that Morgan, who’s emceed the show once before, will host the third episode of the 41st season this October. Morgan was critically injured in a June 2014 accident that killed his friend, fellow comedian James McNair. The multi-vehicle crash left Morgan in intensive care with a rather bleak long-term prognosis: His doctors weren’t sure he’d ever be able to perform again. Morgan gave his first interview since the accident earlier this summer on the Today show, where he said that although he wanted return to comedy eventually, he was focused on his recovery. The comedian also fought back tears as he talked about his painful physical therapy and the loss of his good friend McNair. Kevin Roper, the truck driver who hit Morgan’s car, was employed by Wal-Mart at the time and had been forced by the company to work for more than 24 hours straight. Morgan, along with other plaintiffs, sued Wal-Mart for negligence; the suit was settled out of court in May of this year. SNL also announced that Amy Schumer would make her hosting debut this season, with Miley Cyrus doing the honors a third time for the show’s season premiere on October 3.